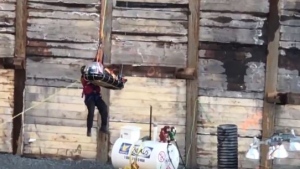 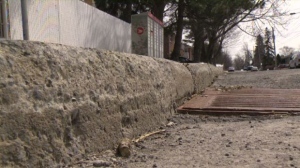 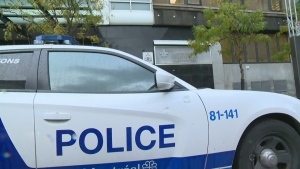 On Wednesday at around noon, construction workers in St-Henri stumbled upon bones believed to be from a human being. 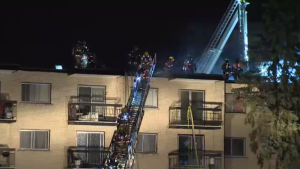 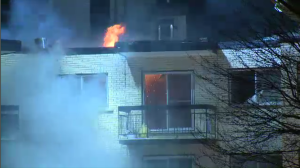 Possible arson causes major damage to duplex in CDN; Pierrefonds apartment complex evacuated following five-alarm fire. 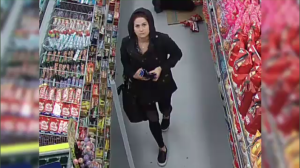 Laval police say the woman in question was spotted shoplifting several items from a Dollarama in Chomedey last October. 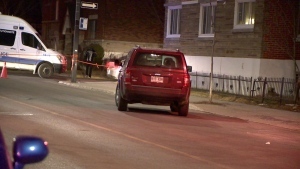 The SPVM's arson squad is investigating a pair of overnight fires that destroyed cars parked outside private homes in Ahuntsic. 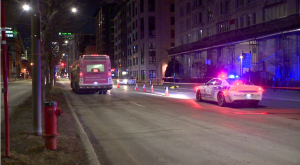 According to police, the incident occurred around 12:15 a.m. Saturday morning, at the corner of Mentana and Napoleon Sts. 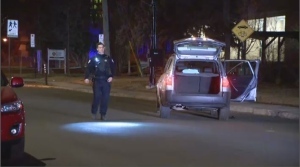 One man was arrested after shots were fired from a vehicle early Saturday morning; Police are now trying to locate two more suspects. 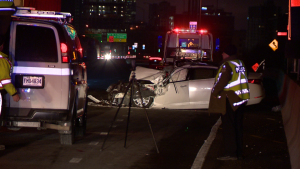 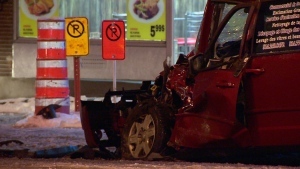 Arrest follows head-on crash on Pie IX Blvd. 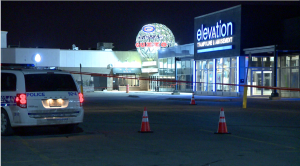 Two suspects are still sought by Laval police after they opened fire at an apartment complex Saturday night. 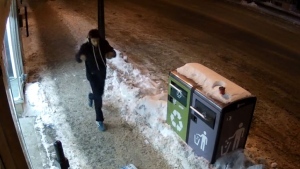 Montreal police are asking for the public’s help identifying a suspect connected to an armed assault in the Southwest borough. 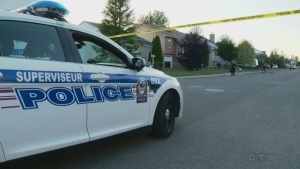 The operation, led by Chateauguay police, targeted alleged drug traffickers in the area. 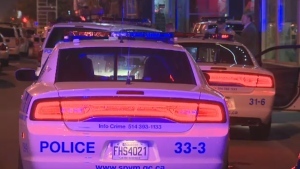 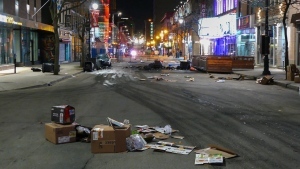 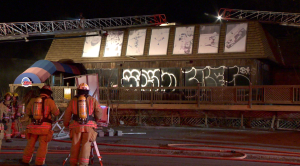 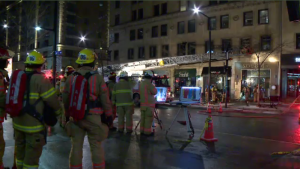 According to the SPVM, the 33-year-old man was spotted lying alongside Boulevard Rene-Levesque, between Saint-Andre and Saint-Christophe Sts around 9 p.m.
A Molotov cocktail thrown at the Soubois building burned the wall and damaged the facade near an entrance on Maisonneuve, near Peel street. 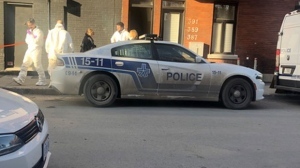 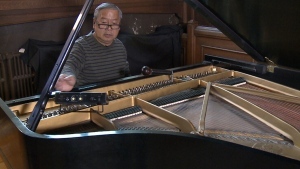 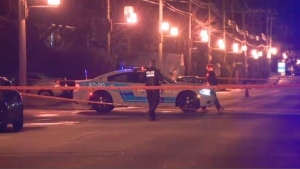 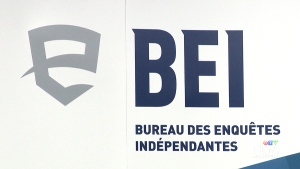 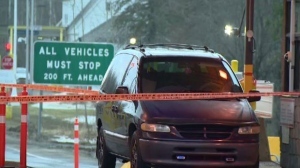 Quebec's police watchdog is investigating after a 77-year-old man died after being pepper sprayed by provincial police during an intervention in the Monteregie region east of Montreal. 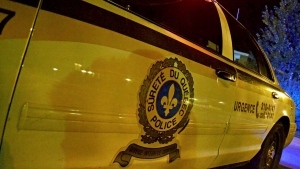 Quebec provincial police say a woman suffered serious injuries after she was attacked by three large dogs while walking in the Eastern Townships on Friday evening. 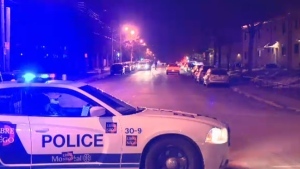 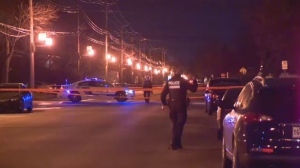 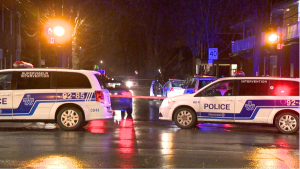 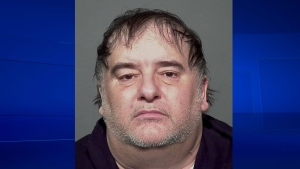 Police are searching for a suspect who fled the scene of an early morning shooting in Cote-des-Neiges that ended in a man's death. 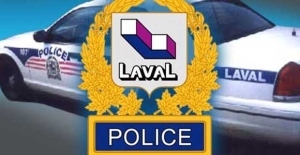 A 20-year-old man who jumped into the waters of the Riviere-des-Prairies from the Viau Bridge early on Thursday morning still has not been located. 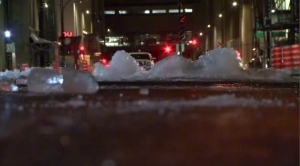 A major water main break next to the Bell Centre downtown caused quite a mess Wednesday morning.